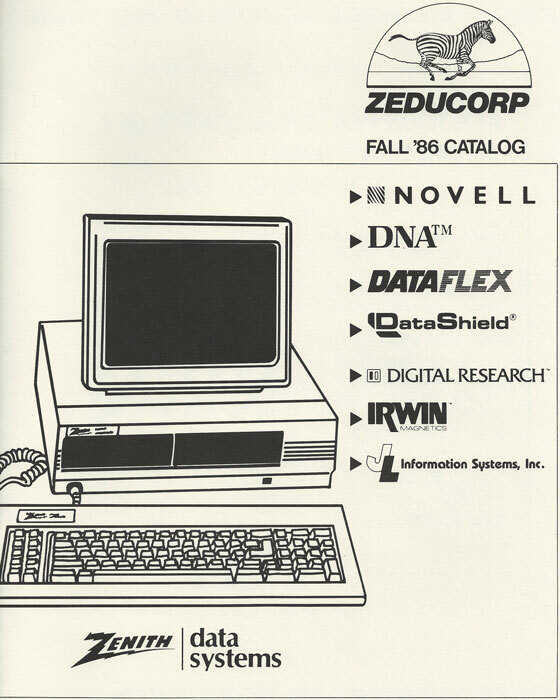 The history of Zeducorp begins in 1983, when it was founded to develop software for personal computers. 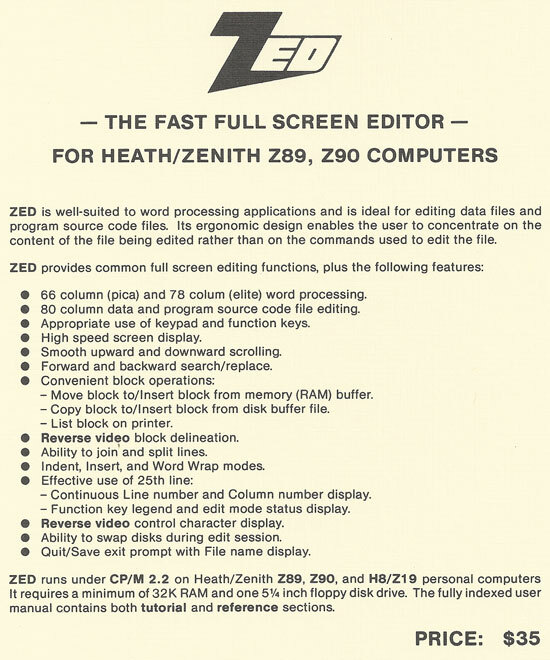 The company's first product was ZED, a full-screen text editor that ran on Zenith Z-89 computers as well as Heathkit H-8 computers with Zenith Z-19 terminals. ZED was written in Digital Research PL/I (with a bit of assembler), and it ran under the 8-bit CP/M operating system. Designed as a text editor rather than a full-fledged word processor, it was more interactive and responsive than an IBM mainframe text editor that interfaced with an IBM 3270 terminal. After Zenith and IBM announced personal computers that were based on the more powerful Intel 8088 microprocessor, Zeducorp released versions of ZED for the Zenith Z-100 and the IBM PC, running under the Digital Research CP/M-86 operating system. The Zenith version was named ZED-16 and the IBM version was named ZED-86. 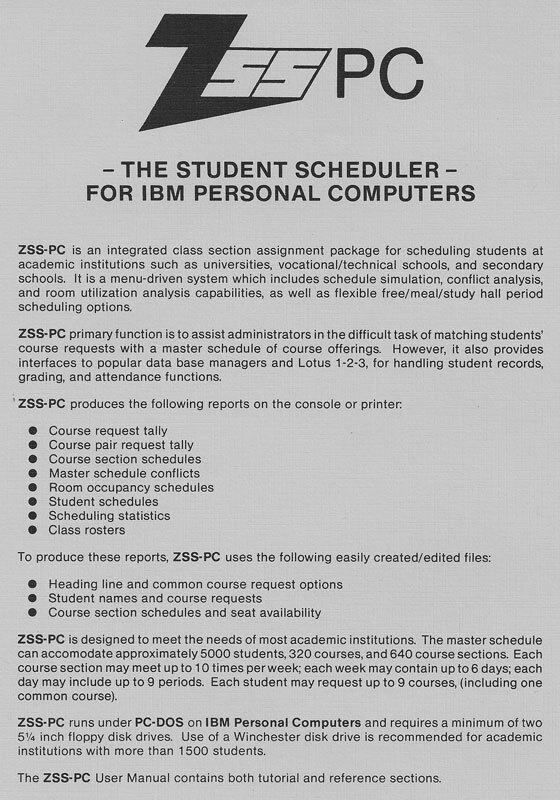 Zeducorp's second product was a student scheduling system named ZSS. This software product grew out of volunteer work with the Registrar's office at the founder's Alma Mater, Newark College of Engineering (now NJIT). ZSS enabled student registrars to build a master schedule of courses, course sections, and the weekdays and period numbers for each course section. Students selected their required courses and elective course alternatives, and ZSS scheduled the students into course sections, avoiding schedule conflicts, ensuring appropriate meal breaks, selecting alternate electives if necessary, and striving to balance the number of students that were assigned to each course section. ZSS was written in Digital Research PL/I-86, and was released for the IBM PC, running under the IBM Disk Operating System or Microsoft MS-DOS. Zeducorp's third product was DEZIGN, a structured program designer for procedural software development. This Computer-Assisted Software Engineering (CASE) tool tool was based on the Jackson Structured Programming (JSP) method, as described in Michael Jackson's 1975 book, entitled "Principles of Program Design". DEZIGN enabled software developers to design programs using hierarchical diagrams that combined annotated Sequence, Iteration, and Selection constructs. The 640x480 pixel displays of the early 1980s limited DEZIGN's usefulness, however. Later, when higher resolution displays became commonplace, graphical user interfaces (GUIs) and object-oriented languages reduced the need for procedural code development methodologies and tools. 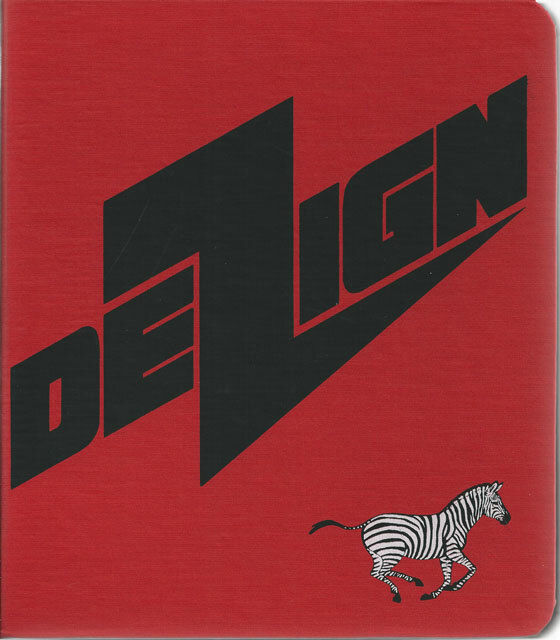 This DEZIGN-PC brochure describes the program and features Zeducorp's early logo. DEZIGN was written in PL/I-86, and was released for IBM personal computers, running under IBM PC-DOS or Microsoft MS-DOS. DEZIGN was packaged in the 9-inch tall 3-ring binder and slipcase format that IBM had popularized with the introduction of its personal computer hardware and software documentation. Zeducorp evolved into a value-added reseller (VAR) during the mid-1980s, developing custom software, writing multi-user database applications, and installing computer systems and local area networks for clients in the New York City metro area and beyond. The Fall, 1986 catalog cover shown here provides a glimpse into the type of products and services offered by the company during that period. After the turn of the millennium, as Internet communication speeds became faster and web-based applications became more feasible, Zeducorp has concentrated on developing targeted, efficient websites using HTML markup, PHP scripts, and mySQL relational databases. Heath/Zenith Computers - information resources about early Heathkit and Zenith computers. The Unofficial CP/M Website - information about Digital Research, CP/M, and early microcomputing. The Man Who Could Have Been Bill Gates - fascinating story about the interaction between IBM, Digital Research, and Microsoft in 1980.